Bacon’s history and journey to becoming an all-time favourite food item is as epic as its flavour. It’s literally been around for centuries, and we are truly happy that bacon has stood the test of time and readily available. 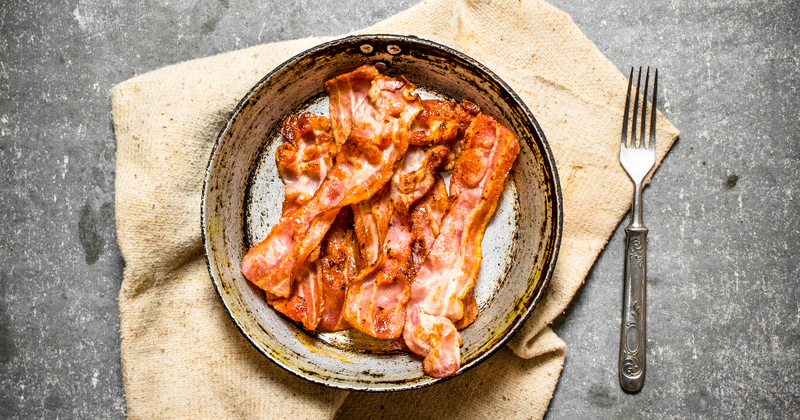 While the Woody’s journey to becoming the best bacon in South Africa has its own story, we’re going to take a look at some fun facts about bacon and share tantalising tales. 1. The word ‘bacon’ has quite the history. One of our favourite facts about bacon, it’s rooted in the Germanic “-bak”, which refers to the back of the pig (this is usually where the most meat is). Then, in France, “bakko” eventually transformed into “bacco”. Then the English came around in 12th century and renamed it “bacoun”. As the 14th century came to be, “bacoun” referred specifically to the cured meat. 2. Bacon actually dates back to 1500BC. Yes, you read correctly. The Chinese were the first to prepare salted pork bellies, which makes bacon one of the oldest processed meats in history since it is over 3000 years old! 3. A trip to the West. Bacon eventually found itself in the hands of Romans, who gave it distinctly Italian spin. They made “petaso”, which was boiled salted pig shoulder, served with figs and a peppery sauce. And to top it all off? Some wine as an accompaniment, of course! In 12th century, if you were a married man and you brought bacon home, it meant that you swore before the church that you and your wife didn’t argue for a whole year and a day. Nowadays, “bringing home the bacon” refers to making money. 5. Bacon is the bomb, literally. During World War II, households were urged to donate their leftover bacon fat to the war effort. The rendered fats created glycerine, which was then used to make explosives and gunpowder. Based in Las Vegas, the United Church of Bacon was started by atheists as a parody establishment, but it boats thousands of members. The church goes as far as officiating wedding ceremonies and hosting fundraisers (the money goes to charity). The church’s doors are open to vegetarians as well! 7. Wake up and smell the bacon. Technology and bacon would eventually cross paths, and one of the first attempts at combining the two came in the form of Wake ‘n Bake, a toaster-alarm clock that would wake you up and automatically start preparing bacon. Sadly, this didn’t take off. However, a new alarm app deceives you out of bed every morning to not only the glorious sound of frying bacon, but to the aroma as well. A small gadget attached to your iPhone’s headphone jack sends a bacon-cooking experience your way as the alarm sizzles. Sounds and smells good, but there is no actual bacon. What a tease. Eager to experiment with bacon and beverage combos? Consider these 5 Must-Try Bacon and Beer Pairings.